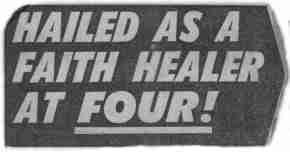 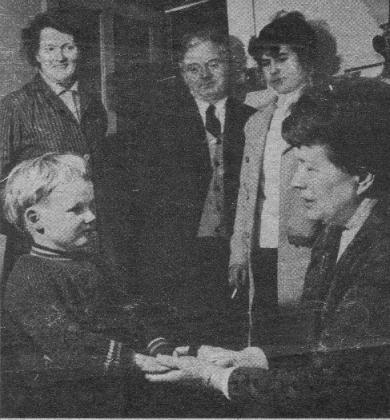 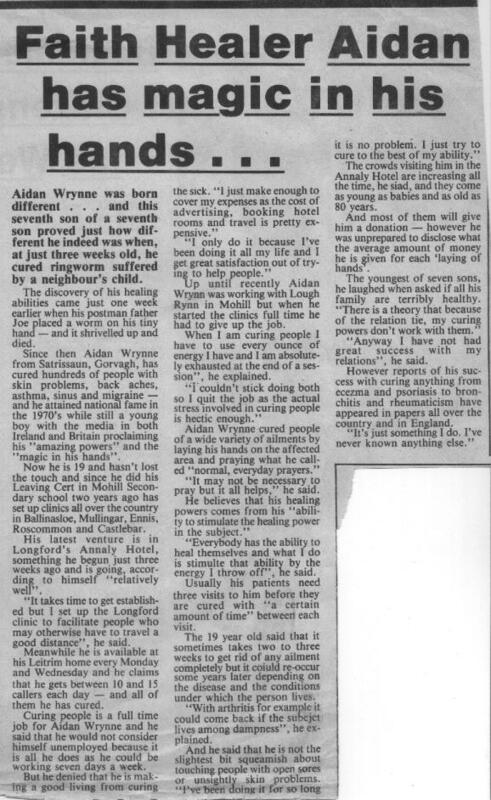 Aidan Wrynne is the Seventh Son of a Seventh Son - Since he was a few weeks old, he's been curing people of their ailments. 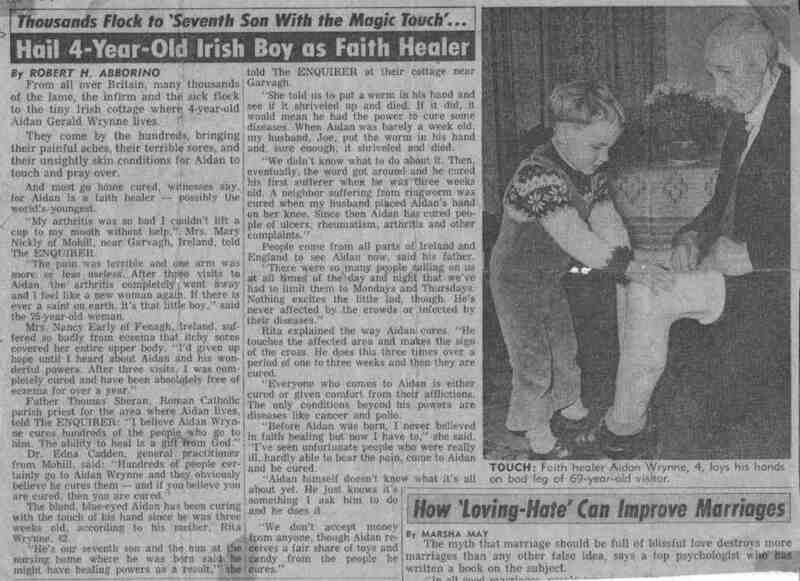 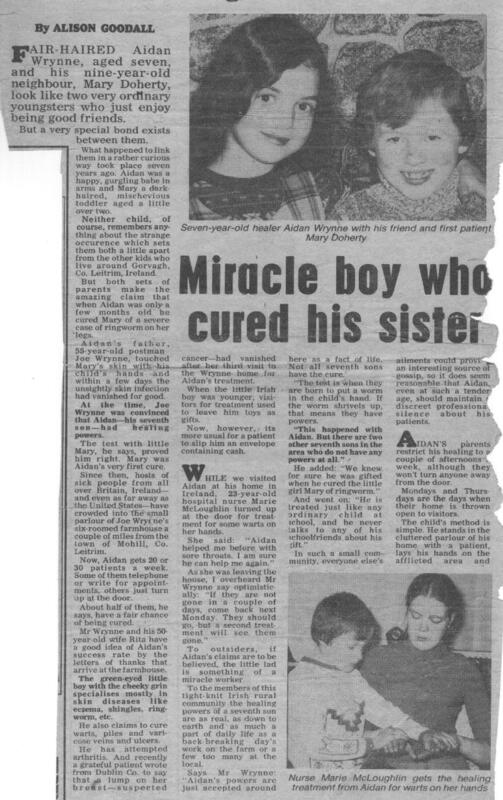 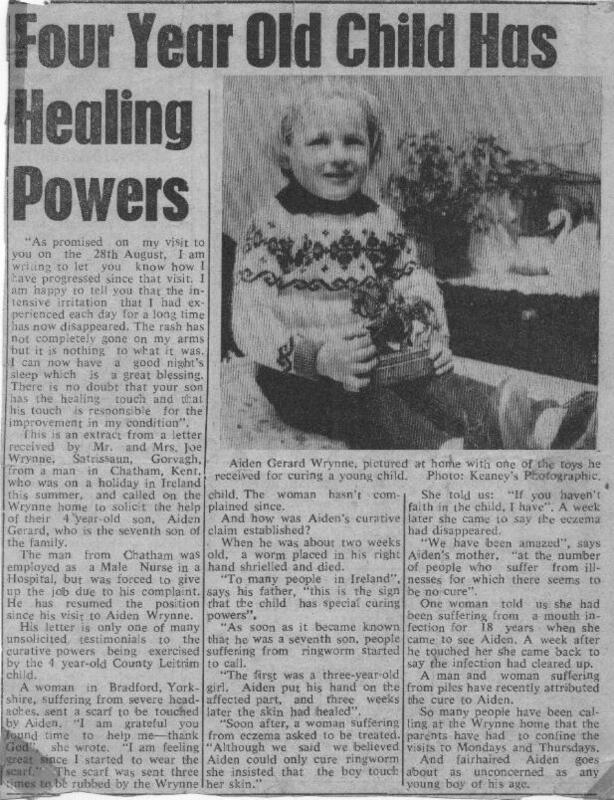 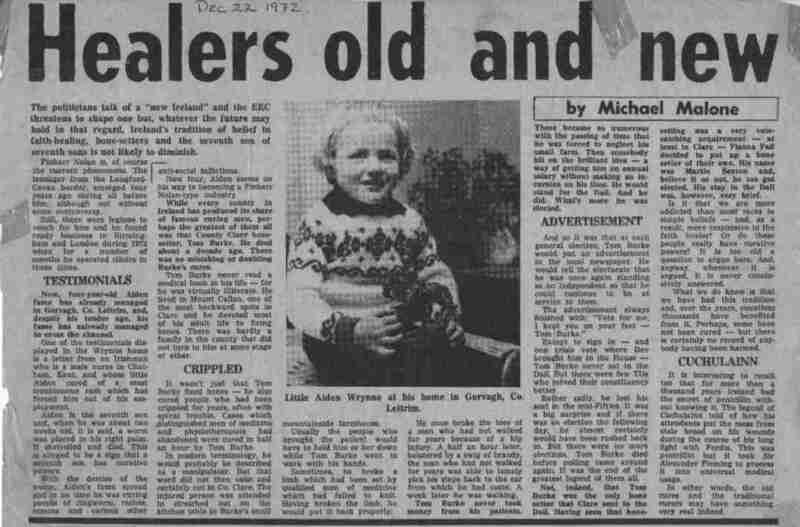 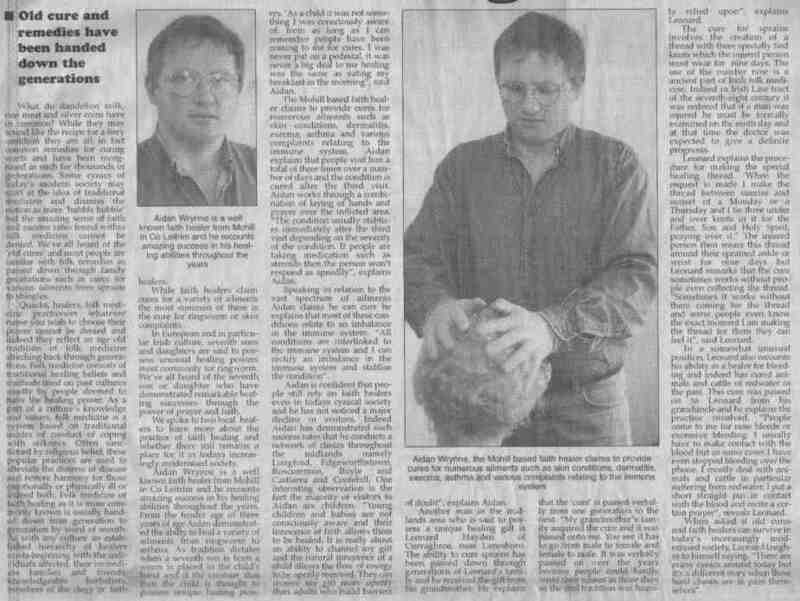 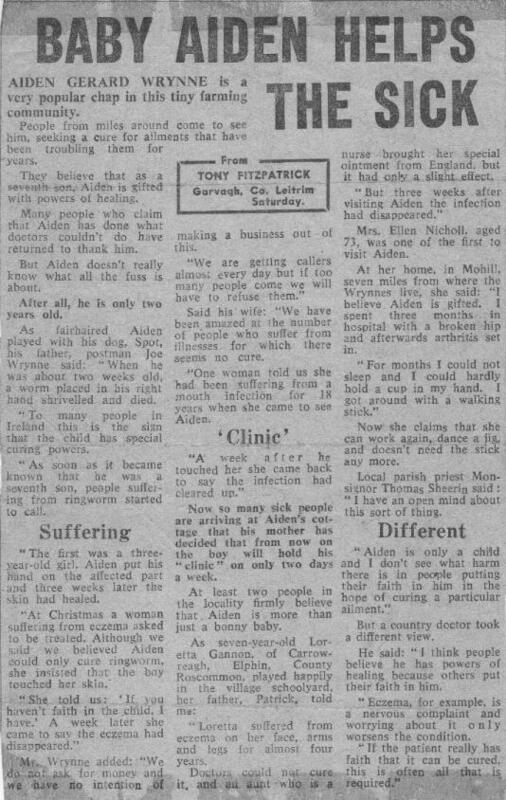 Below are some old newspaper clippings about Aidan..
Clicking on each one will bring you to the article - Note that some are rather large. 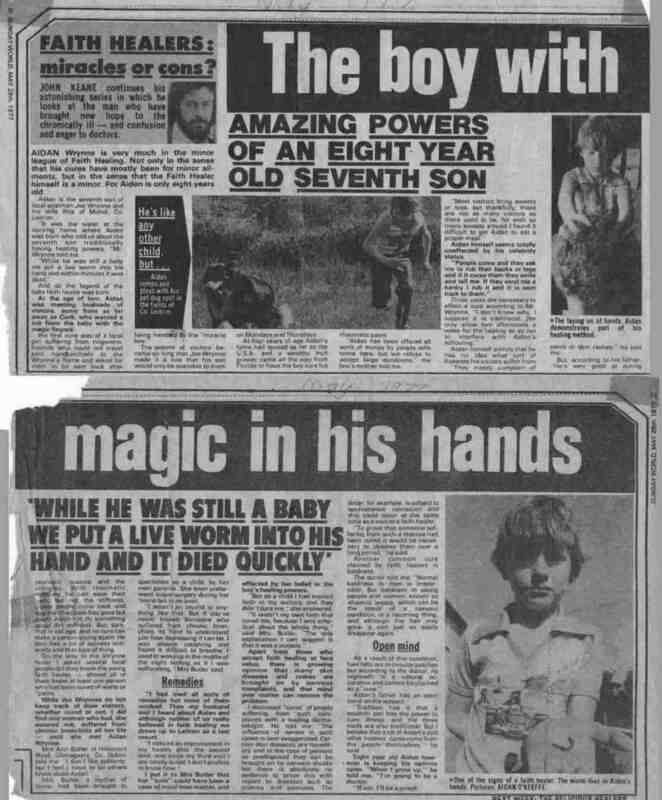 The size of each article is indicated in kB..
All content © mohill.com 1999, 2000, 2001, 2002.